It is difficult enough to keep up with new theology books that cover the same material over again. The difficulty is compounded in trying to keep up with new movements which are reinterpreting the orthodox doctrines; movements like Process Theology, Third Wave Theology, Reconstructionist Theology and the New Age movement. Perhaps you, like most, don’t have the time to wade through the writings of the proponents of these movements but you would like to have a good grasp of what they are saying. This is the kind of book that will help. 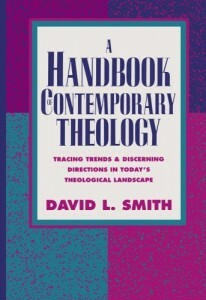 Smith also gives a recent picture of Fundamentalism, Neo-Orthodoxy, Evangelicalism, Neo-liberalism, Post-Vatican II Catholicism, Eastern Orthodoxy and the Charismatic movement. All are very informative and helpful in understanding the people who are coming to us from the main-line denominations. David Smith has pastored for two decades and is presently Theology Department Chairman at Theological Seminary in Otterburne, Manitoba, Canada.